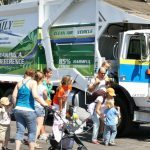 It is with this spirit in mind that one law firm has decided to make a difference this holiday season. 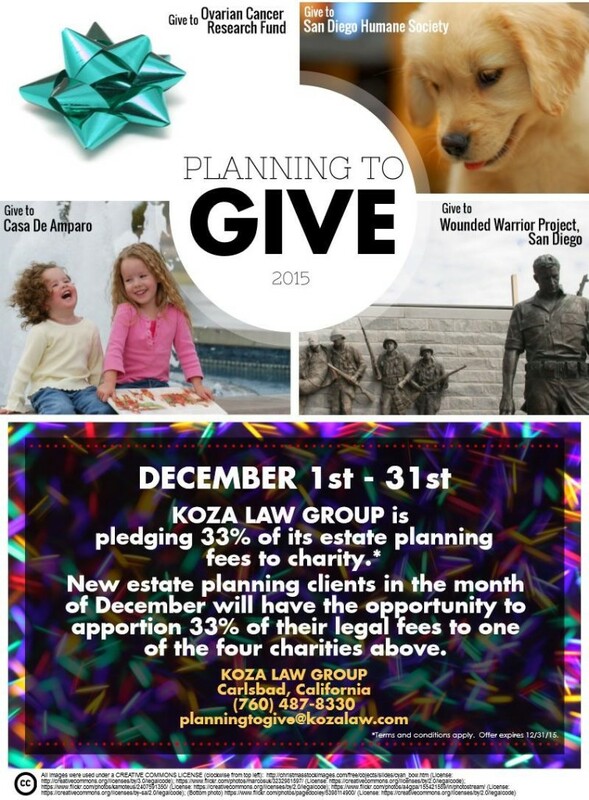 KOZA LAW GROUP, located in Southern California, is taking part in the nationwide Giving Tuesday initiative by allowing its new clients in the month of December to apportion 33% of their legal fees to charity. All new estate planning clients during the period of December 1 through December 31, 2015 can pledge 33% of their legal fees to one of four charities (listed below). Over 50% of Americans do not have any kind of estate plan. From a legal standpoint, millions of Americans are leaving themselves, their families, and their assets open to an unnecessary level of risk and cost. Without a plan, a person who dies can subject their family to avoidable stress and family conflict, probate court, rigid state intestacy laws, as well as an assortment of other delays, costs, and potential taxes. And when young children are left behind, the risks are even greater. Established in 1978, Casa De Amparo (Home of Protection) is recognized as a leader in treating and preventing child abuse and neglect in San Diego County and beyond, with locations in Oceanside and San Marcos. Founded in 1994, Ovarian Cancer Research Fund (OCRF) awards grants to researchers working to better understand, identify, treat, and ultimately cure ovarian cancer. The San Diego Humane Society (SDHS) is a private, nonprofit organization that is not affiliated with any other humane society or SPCA. Serving San Diego County since 1880, SDHS operates campuses in San Diego, Escondido, and Oceanside. The Wounded Warrior Project is dedicated to honoring and empowering Wounded Warriors.